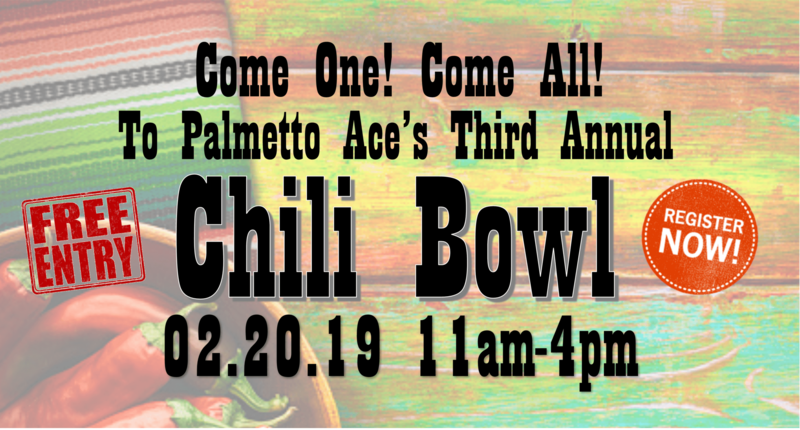 Help raise money for Children’s Miracle Network Hospitals and MUSC Children’s Health by participating in this years Chili Bowl at Palmetto Ace Home Center. All Customers are invited to test-out the chili and vote for their favorite. SPACES ARE LIMITED, so please register today, deadline is February 15th. There is NO entry fee.